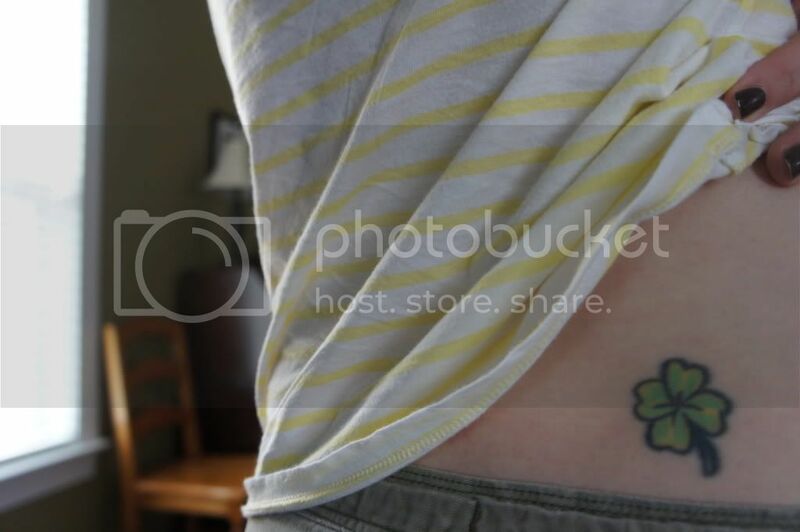 Last week I wrote a post and mentioned my tattoo. Little did I know it would spark some curiosity and provide the perfect inspiration for a whole other post. First some background. I've been incredibly fortunate in my life to have a few pretty significant friendships. One was a friend through middle school, high school and a few of my many college years. He was a confidante, a buddy and someone who could ALWAYS make me laugh. When he died, entirely too young, it was one of the first experiences I had with losing someone who had been important to me. Though we weren't super close at the time of his death, I didn't handle it very well. It wasn't a pretty time for me emotionally. There was definitely a whole bunch of relying on chemical crutches to get me through the pain. At his wake, I remember talking to a few mutual friends and deciding we would all get tattoos to remember him. 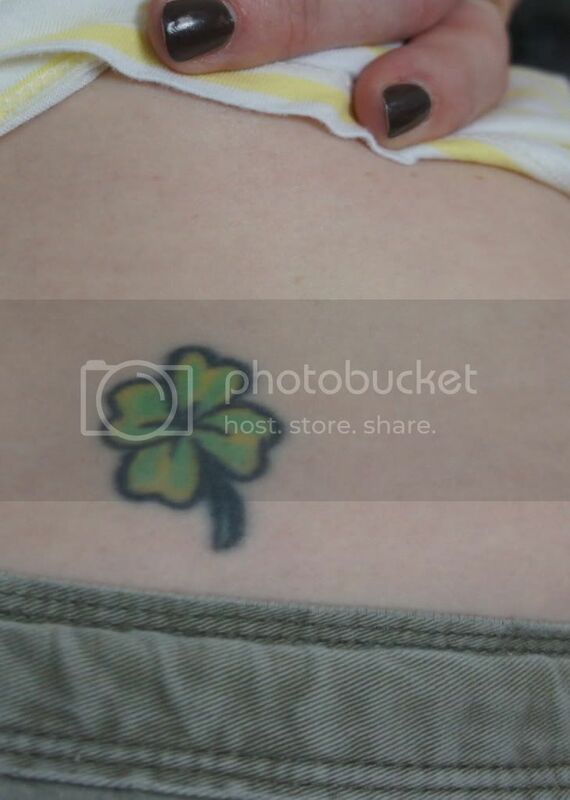 Our friend's Irish heritage made the tattoo design easy to decide on. Fast forward a year or so and several drinks later... During a night on the town, a friend and I were between bars and walking by a newly opened tattoo shop. He turned to me and jokingly said, "Want to get a tattoo?" I surprised even myself when I said, "Actually, yes." There was never a question in my mind what I wanted. And I never had a moment's hesitation. I sat down in the chair and waited to see my new "ink." Half-way through the process I must have been looking a bit sallow because the artist asked me if I was feeling alright and offered a trash can if I was feeling sick to my stomach. First off, if there was one thing I used to be a pro at - it was the proverbial drunken yak. But, until that moment I hadn't felt sick to my stomach AT ALL. I was in a bit of pain, sure, but I was fine otherwise. Well, until that jerk mentioned the trash can. You get the idea. Thankfully it was a boot and rally kind of situation. I ended up surviving the process and walked out on my own two feet. In the end, that night left me with one of my favorite things in the whole wide world. 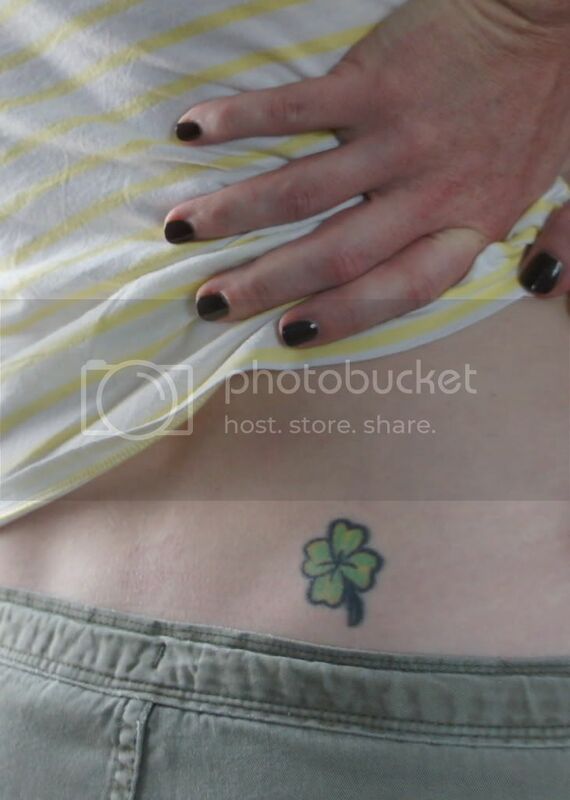 Now, I'm not sure if anyone else ever got (or even remembers discussing getting) a tattoo. But, mine is incredibly special to me whether they did or they didn't. I've never, ever, ever regretted the decision - as emotionally charged and liquor fueled as it was.